The original Soul Sacrifice set out to take the Monster Hunter genre by storm, hoping to elevate it to new heights and while it wasn’t the critically acclaimed game most were hoping it to be; it was a fantastic entry into the genre none the less. Soul Sacrifice Delta is an updated version of the original, sporting enhanced graphics and a ton of new content, but should you sacrifice your money once again to relive the memories of the past or would you be better off saving it and holding out for a true sequel? Try to imagine yourself in a field full of flowers while the warmth of the sun softly caresses your cheeks and a cool breeze creates a subtle yet hypnotic whistle amongst the green grass. Sounds wonderful don’t it? Well the opposite of that would be the best way to describe the depressive and sombre tone of the story and world of Soul Sacrifice. You play as an imprisoned sorcerer waiting to be sacrificed by the ruler of this now ravaged world, Magusar. He is the most powerful sorcerer alive and while it may seem that your fate is all but sealed, your salvation lies in a journal of a former sorcerer and companion of Magusar that you find in your prison cell. You will relive the events chronicled in this journal and it will eventually lead you to the truth about Magusar and it will give you the power and knowledge needed to defeat him. The story unfolds mostly via the text of the book’s pages and while there are no cutscenes to speak of the script is so brilliantly written and narrated that you would hardly find yourself missing them. 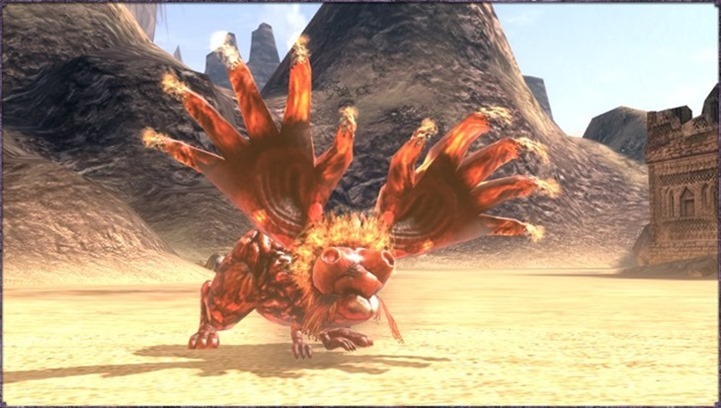 The story was the most surprising aspect of the game for me as it is extremely deep and engaging for a Monster Hunting game and while Delta does add a lot of new story elements (during and post), it never attains the depth of the core game, but it is a welcomed addition none the less. The game is broken up into small mission based chunks that is easily playable on the go. Each mission has you hunting down either a few monsters or a boss type creature known as an archfiend. Archfiends are beasts that were once human and some of them are even based on classic fairy-tale characters such as a twisted form of Snow White or the Three Little Pigs. 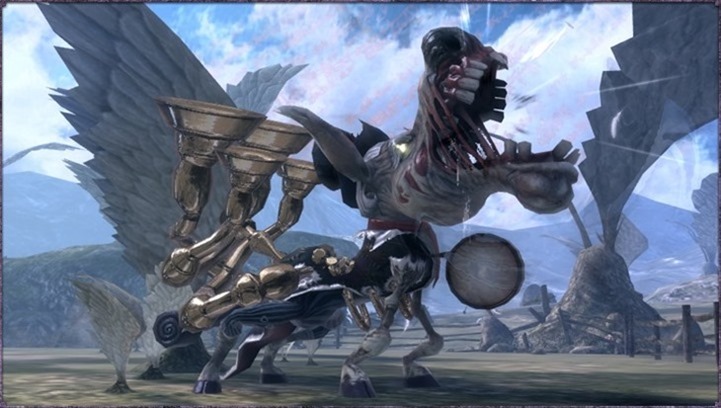 Each archfiend has its own story as well that you can read up on in the journal and I highly recommend you read these tragic tales as it helps add to the immersion when fighting these beasts. The only downfall to the gameplay structure is the fact that areas are small and there are only a handful of them so it does become repetitive after a while. Luckily the combat system is so deep and engaging that the repetitive nature never becomes too grating. 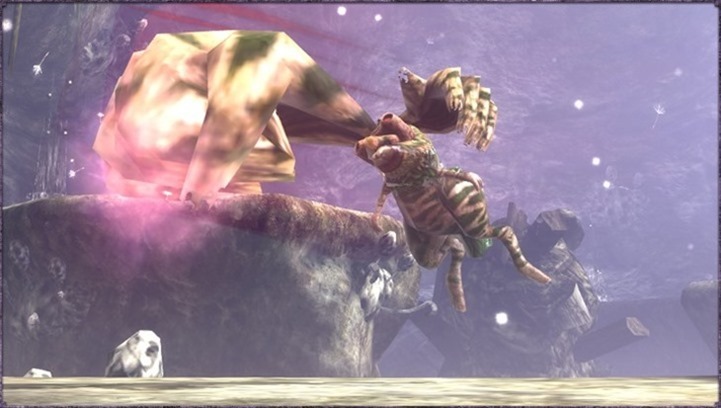 The central theme of the game is sacrifice. It is constantly asking you what you would sacrifice in order to gain more power. 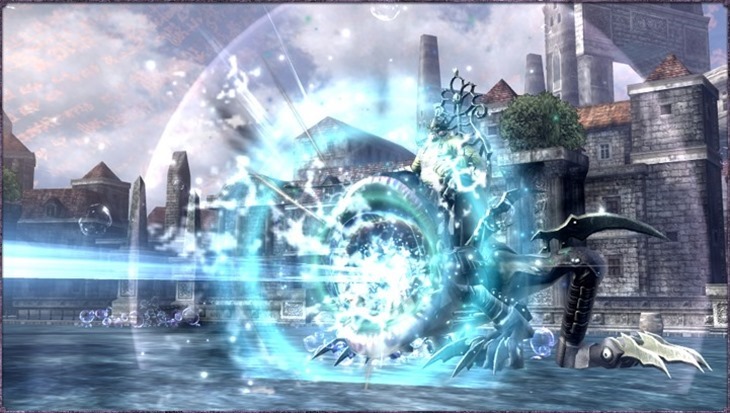 This theme is not only prominent in the story but it plays into the combat system as well. You can have up to six spells or offerings as their called, equipped when you enter battle with each offering having only a limited amount of uses. Some offerings even use your health for activation. These offerings come in different forms and types and can be fused together and upgraded outside of battle to increase their strength. There are also special offerings called Black Rites which are the strongest offerings in the game, but can only be activated near death and you have to pay a hefty price. For example, one Black Rite has you sacrificing your heart for its activation, and although it does a great deal of damage, your maximum health will now be halved. It is this type of compromise that keeps the game fresh and interesting. Another interesting mechanic is the way you level up. When you defeat an enemy, you have the choice to either save it which will replenish your health and raise your Life level or you could choose to sacrifice it which increases your magic power and raises your Magic level. Delta introduces a third option, Fate, which negates either option and lets fate decide the outcome. These decisions play into the new faction system as well. Three factions exist in the game that affects the story and gameplay. If you choose to align yourself to the new Grim faction for example then you will receive various bonuses during and after battle when using the Fate option. 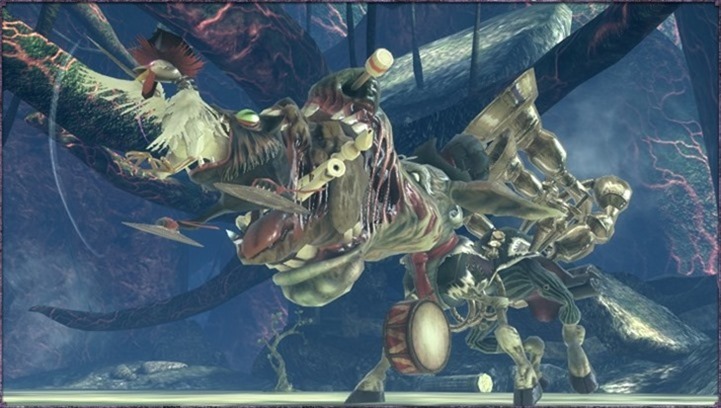 Soul Sacrifice Delta, like any Monster Hunting game can be played with up to 4 real life players. Unfortunately you can’t co-op with your friends during the story segments but there are a ton of other missions to partake in. Playing with real people is a ton of fun. Building an effective team and seeing everything come together is a blast. I love the fact that this game is as fun to play alone as it is to play with people, which is no easy feat for a game in this genre. Overall, Souls Sacrifice at its core is still an easy recommendation. Delta improves on the already gorgeous visuals while adding new areas, gameplay mechanics and story segments, unfortunately, it doesn’t quite do enough to warrant a repurchase as at the end of the day; it is still more or less the same game. If you’ve never played the original however, then this ‘definitive’ version of the game is the perfect package for you. This updated version unfortunately doesn’t do enough to set itself apart from the original but if you’ve never played the original before I highly recommend you pick this game up and prepare to sacrifice your time with this addictive game. Previous article The winner of the Watch Dogs hamper – and more ways to win!